We first opened our doors in 1981 on Columbia Street, moving to Court Street in 1993, and expanding again in 2004 to our current location here in Barneveld. 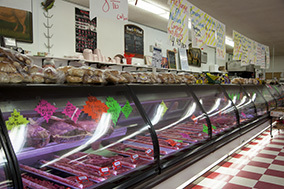 Although we started out selling primarily meats, we've expanded our selection tremendously in our newest location. 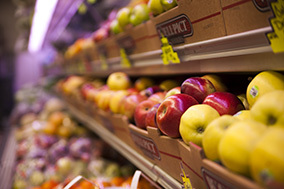 We now offer a full line of groceries including produce, cereal, baked goods, canned foods and everything else that you would expect in a local grocery store. No matter where we're located, some things never change. We pride ourselves on putting our customers first. We help you choose what you need and offer fresh coffee while you shop. 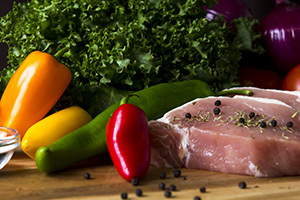 In addition to our excellent selection of cold cuts and meats, we offer many made-to-order foods. 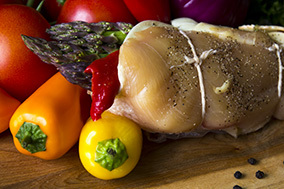 We have hot and cold subs, a huge selection of salads, pies and more. We are conveniently located right on Route 12 in Barneveld, only minutes away from Utica. We're right on the way as you head north for fun in the Adirondack mountains. Even if we're not open as you pass by, you can still buy ice from our self-serve vending machine.